MPC is pleased to host this Fuller Texas lecture with Dr. Mimi Haddad. The lecture will discuss how the #MeToo movement demonstrates the global power imbalances between men and women not only in culture but also in the church. We’ll also consider how churches can prevent harassment and abuse today while learning from Christians through history who have advanced the Gospel, justice, and the dignity of women and men created in God’s image. Dr. Haddad is president of CBE International. She is a graduate of the University of Colorado and Gordon Conwell Theological Seminary and holds a PhD in historical theology from the University of Durham. She is author of Is Gender Equality a Biblical Ideal? with Sean Callaghan. Dr. Haddad is an adjunct assistant professor of historical theology at Fuller Theological Seminary and Zinzendorf School of Doctoral Studies. 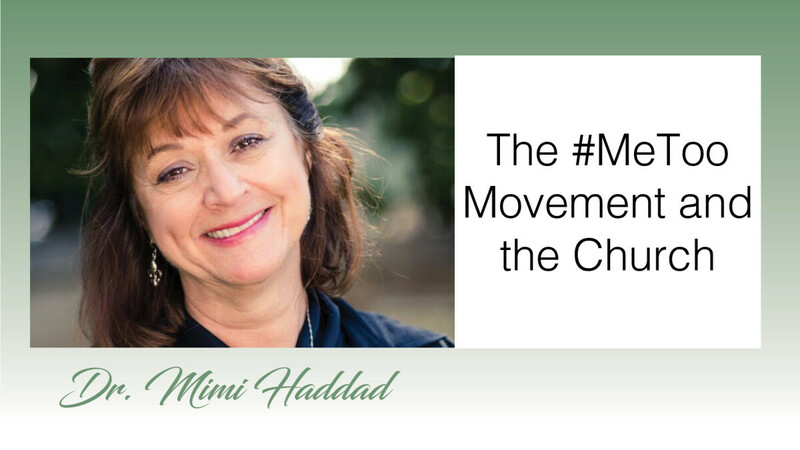 Mimi has taught for colleges and seminaries around the world. She currently serves as a gender consultant for World Vision International, World Relief, and Beyond Borders. Mimi and her husband, Dale, live in Minneapolis/St. Paul, Minnesota. This event is free and open to all denominations.